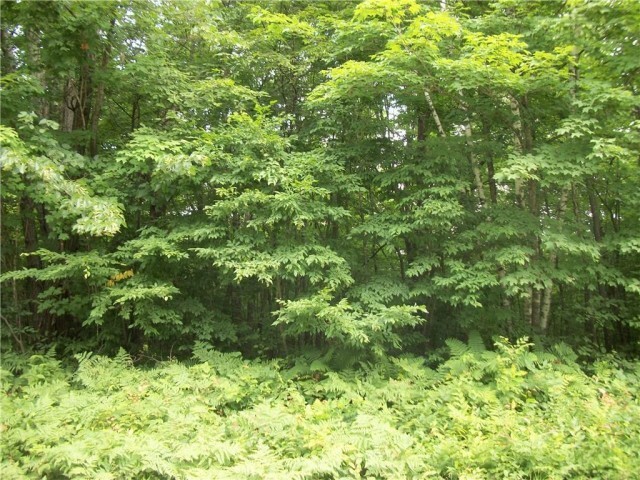 THESE NICELY WOODED, PRIVATE LOTS ON THE CHIEF RIVER HAVE ACCESS TO THE CHIPPEWA FLOWAGE! THIS PARCEL FEATURES 7 SURVEYED BUILDING PARCELS AND OVER 1100 FT. OF FRONTAGE . 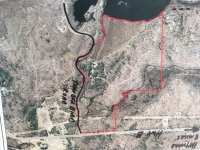 . .
NICELY WOODED LARGE PARCEL ON THIS CLEAR WATER 5,000 PLUS ACRE LAKE. WESTERLY EXPOSURE WITH LOW AND . . .
OSPREY LAKE'S LARGEST VACANT PARCEL WITH 159 WOODED ACRES AND 1500 FEET OF LAKESHORE FRONTAGE. (ABOUT 1000 FEET MARSH AND 500 FEET GOOD HARD SHORELINE) MAKE THIS YOUR . . .
408 Listings in Hayward WI ..
Stroll along the streets of downtown Hayward, Wisconsin and chances are you will feel yourself being transported back to simpler time. A time when neighbors were friendly, cell phones were obsolete and life just moved at a more manageable pace. Escape to Hayward, Wisconsin and experience life as it was meant to be experienced. Reconnect with yourself, your loved ones and the rest of the world around you. Plan your next getaway to the Walleye Capital of the World, Hayward, Wisconsin. Hayward was names after a man by the name of Anthony Judson Hayward, who built one of the first sawmills in this area. 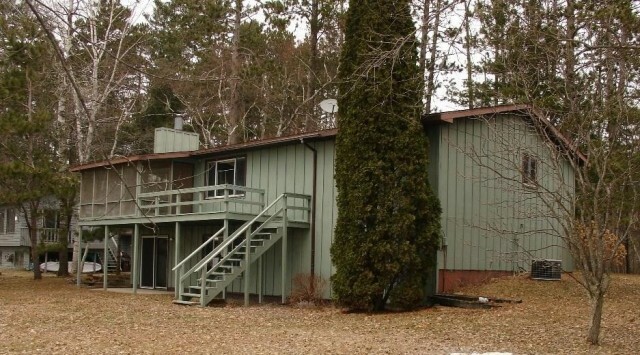 Located in Sawyer County, Wisconsin, along the shores of the Namekagon River, Hayward today is home to approximately 2,000 permanent residents. 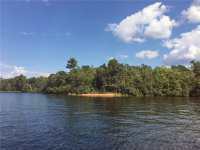 Surrounded by cool, clear lakes and thousands of acres of pristine wilderness, Hayward's population certainly swells in the warm months of summer, accommodating many folks who return year after year to vacation in the North Woods. Just because summer is a perfect time to visit doesn't mean that any of the rest of the seasons are any less spectacular. Winter is actually one of the best times to visit the Hayward region. Off-peak rates are lower and much more reasonable. Best of all, winter sports are nothing short of spectacular here in northern Wisconsin. Imagine gliding effortlessly across frozen lakes on your ice skates, as you witness the snowy wilderness of the forest around you. Play a competitive game of hockey or two. Cross country ski on the paths of the Chequamegon National Forest, which, incidentally, is the site of the Chequamegon Fat Tire Festival in the warm months of summer. Experience the thrill of riding through this wintry paradise on a snow-mobile. Or, simply kick back in an ice hut and catch a few fish through the ice. Hayward is more than just a great vacation destination; it's a great place to live. The cost of living is relatively low, especially when compared to larger cities or areas along the coast. While the prices are more reasonable, the advantages to living in Hayward are many. No crowds, welcoming locals, and access to world class medical, educational and recreational facilities are all part of the Hayward community. 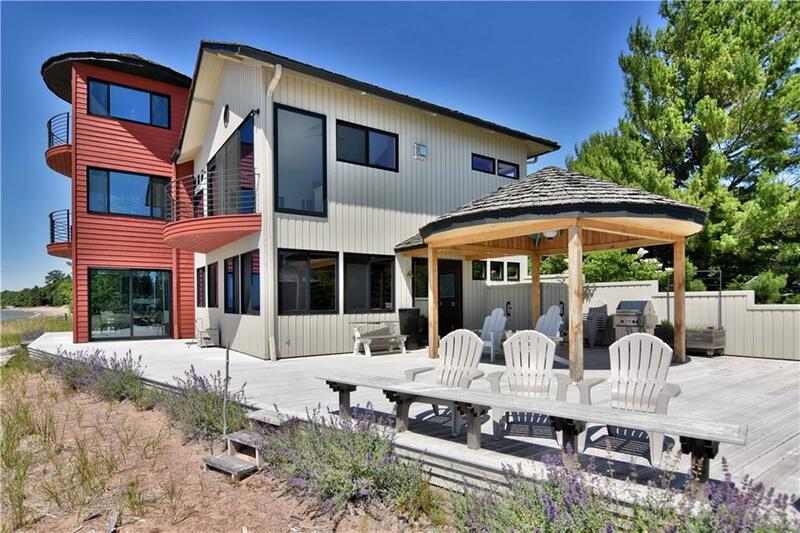 Lakefront living at its finest is available around every bend. With choices ranging from cozy lakefront cabins�and lake lots to modern, luxury condominiums, there is truly a residential option to suit the needs of summer vacationers and year-round residents alike. For fans of the sport of fishing, Hayward is truly a destination that should not be missed. Hayward is home to the National Fresh Water Fishing Hall of Fame, a building which is marked by an impressive 200 foot statue known as the World's Largest Muskie. The World's Largest Muskie is even decorated for the various holidays - you may even catch a glimpse of Santa standing in the mouth of the Muskie on Christmas! You can even make the trek up to the mouth of the fish itself, complete with an overlook over the great Lake Hayward. There's a reason Hayward is home to the National Fresh Water Fishing Hall of Fame. The fresh water fishing in and around this region is nothing short of amazing. 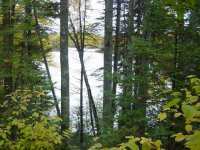 Local lakes known for their outstanding fishing include Grindstone Lake, Round Lake, Moose Lake, the Chippewa Flowage and Lac Courte Oreilles, to name but a few. All of these lakes in and around the region are known for being home to record size muskellunge (aka muskie) fish. While many of the area lakes do not allow for water sports, there are several quiet lakes in the region, which prohibit water-skiing and motorboats. These lake include Ghost Lake and Lost Land Lakes. Hayward is the site of many festivals and events, including the world renowned Fat Tire Festival, a mountain bike racing competition held annually in the Chequamegon National Forest. A North Woods tradition for nearly 30 years, the Fat Tire Festival today hosts 2500 competitors and has two main races: a 40 mile race known as the Chequamegon 40 and a 16 miles race known as the "Short and Fat." The Lac Courte Oreilles Band of the Ojibwe people host annual powwows including the Veterans in late fall and Honor the Earth in summer. Visitors from the world over will be delighted by the Lumberjack World Championships where professionals come to compete in log rolling, chopping, chainsaw and good, old-fashioned sawing events. In winter, Hayward hosts to American Birkebeiner cross-country skiing race, the largest of its kind in the world. Come and experience the North Woods in Hayward, Wisconsin. Take a long, deep breath and appreciate the crisp, clean Wisconsin air and water. Hayward is truly the vacation destination of a lifetime in Northwestern Wisconsin.